Kristin has overseen the pool guards, parties, maintenance, etc. for the last 12-15 years but she is stepping down this year. This is a good opportunity to develop a long-term pool plan as it is 50+ years. She is splitting up the duties to make it more manageable and we are getting bids on possible maintenance contracts. IF YOU HAVE A DESIRE TO KEEP THE POOL, YOU NEED TO EITHER COME TO THE MEETING OR CONTACT THE BOARD/RETURN THE SURVEY. The pool is an asset for a small percentage of the cost of other local pool memberships (a little over $100/yr of your dues) but it needs your TLC. IF THERE IS NOT ENOUGH INTEREST IN THE POOL, WE WILL DISCUSS CLOSING IT. NOTICE: PER THE BY LAWS, DUES ARE DUE JAN 1 AND LATE STARTING MARCH 1. Each homeowner is required per the bylaws to pay yearly dues. The electronic Paypal option was a success with over 20 homes taking advantage of this feature. Wigton had a glitch so they have a short extension. The board has been working the last year to bring our A/R in line. To date, we have collected all but 3 homes (1 is on a payment plan). The board continues to look at options for the last 2 outstanding properties. We have 5 people from 2018 that we will address with our lawyer. The good news is we haven’t had a flood in the past year in our immediate area! Marcie Evans is your contact. BEFORE ANY WORK HAS STARTED, YOU NEED TO GET APPROVAL FROM THE ARCHITECTURE COMMITTEE. THE “CONTACT US” LINK IS ON THE WEBSITE (ie: painting, fence, roof, major landscape, concrete, windows, etc.) There is a 30-day window for final approvals so please plan accordingly. Once approved, you will receive a yard sign that notes that you have followed procedures and the work has been approved. If you do not get approval, your home sale could be jeopardized prior to closing. Per the deed restrictions, this is a single-family community. This means you cannot rent out rooms, garage apartments, use as a VRBO or run a business out of your home. This is a violation and will be addressed with the city attorney and our attorney. If you are in violation, please stop immediately. Please let me know if you would like to be on this committee to help Marcie. We have a new webmaster…Andrew Bell!! 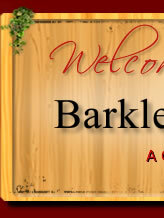 We only have 167 homes signed up on the website (www.barkleysquaretx.com). PLEASE register so that you can receive important news, alerts, etc. There is to be NO ADVERTISING signs allowed in yards. Please remove all of the signs other than “For Sale” signs. Political signs can be posted until the election. This includes landscape, mosquito, roof, construction, etc. 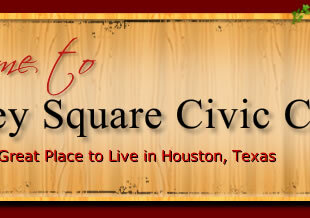 If you are new to the neighborhood, welcome! Please note that per state regulations, you must register on our website. There is also a welcome packet full of useful information such as trash days, pool information, security, etc. If you are interested in serving in some capacity on the board, please let us know! Nominations are always accepted and volunteers welcome!